Do you enjoy hiking, visiting a neighbor’s fenced-in yard, or just want the safety insurance of a great recall? Our director, Nancy Fierer, explains how to train a reliable recall. 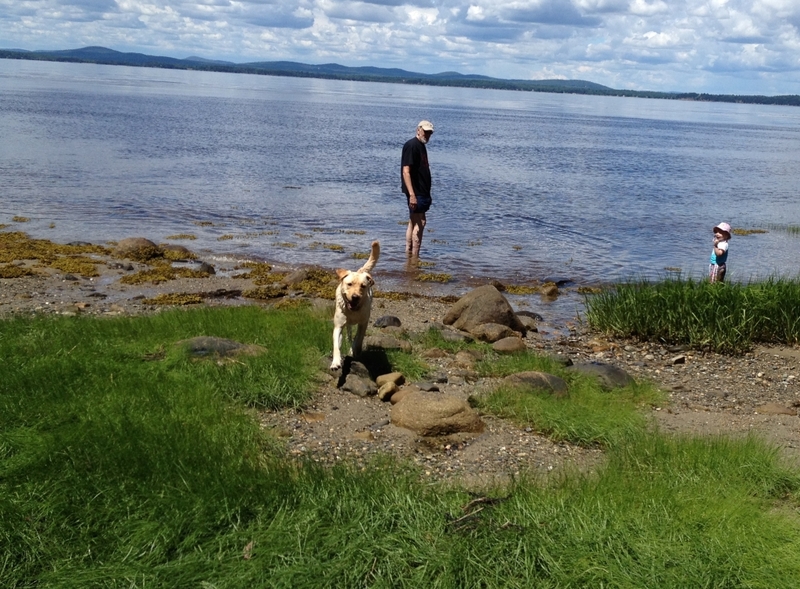 It takes a reliable dog to do any of this—a reliable, trained dog with a solid recall. I start training recalls when the dog is very young, but the training methods also work with older dogs. Most dog owners expect their dogs to come when called, simply because they told them to and the dog should listen. But let’s put this into perspective. When you’re calling your dog, the dog is out there in the world, making their own decisions. You ask the dog to come, and the dog decides whether to come to you of its own freewill. Usually, when you call your dog, you’re competing with many other interesting things, such as squirrels, great smells, birds, other dogs, other people, noises, etc. If you’re asking your dog to ignore all those interesting things and come directly to you, you better be prepared to make it worth their while so your dog wants to continue to come to you. Every time you call your dog, whether you're inside or outside, the dog gets reinforced. Every time. The reinforcer must be something really good because things in the environment are competing for your dog's attention. A reinforcer is defined as something the dog wants enough to repeat the behavior that resulted in the first reinforcement. If it takes a long time for your dog to respond or if they actively ignore you, you still need to reinforce them when they actually come to you. Setting criteria to improve latency (speed of response) should only be done in a controlled environment. A reliable recall needs to be practiced over and over and reinforced during the lifetime of the dog. SSD has guidelines on how to train a reliable off-leash recall using the cue “come.” These directions are very specific and helpful, especially with an older dog or when the dog is in a new or challenging environment. In order to get a solid recall, you need to commit to practicing at least three times a day. The more you practice, the better and faster the results will be. Tip: Practice right before you feed your dog, so they’re really hungry. You can even use recall practice as a way to feed your dog its meals. The dog comes quickly and immediately when called, either on or off-leash and in any situation. Start by working in a place with minimum of distractions, like your backyard. Attach the long rope to your dog’s leash and allow the dog to have 20 feet of rope. Wait until your dog starts paying attention to something else. When you feel your dog is sufficiently distracted, say your dog’s name loud and clear and then say “come.” Have your treats ready, and as soon as your dog decides to come click and praise them. When they get to you, take out a handful of bite-sized treats and feed them to your dog one at a time for 30 seconds, praising them the entire time. This is the “fine dining” method of reinforcement. With clicker training, we typically only give the dog one treat. The dog usually inhales the treat and it’s over quickly. But with fine dining, the sheer number of treats makes a huge impression on the dog’s brain and they think “Wow! How do I make this happen again?” They’re much more likely to come the next time they’re called. If your dog doesn’t come to you when you call, don’t yell or get angry. Just hold on to the rope, count to 5, and try again. Even if it takes your dog a long time to decide to come, you still need to reward the dog for ultimately making the right decision. After your dog has come, let them turn their attention elsewhere, then call them to come again, repeating the fine dining experience when they do. Remember to wait until your dog is no longer interested in you before calling their name. Slowly increase the amount of time between each recall, allowing your dog to get more and more distracted. When your dog is doing it perfectly every time, it’s time to increase the amount of rope to 40 feet. Keep increasing the rope length until the dog has the entire 100 feet of rope. 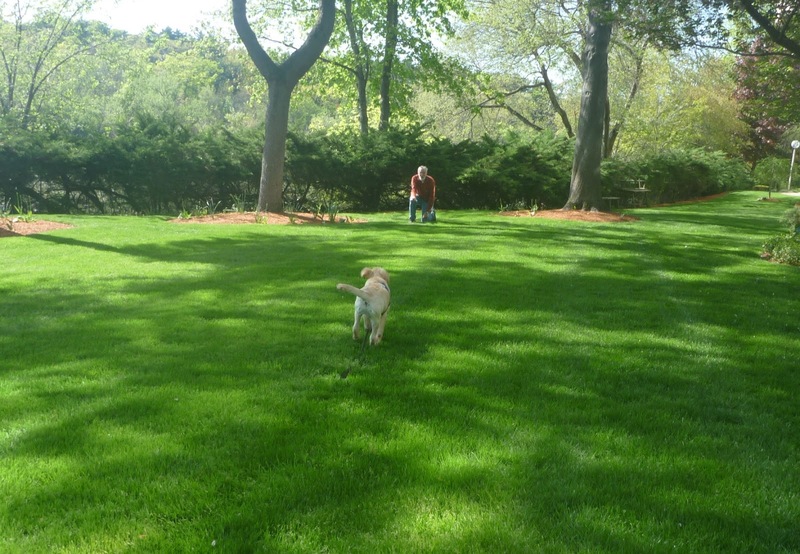 Once the dog has a perfect recall on the 100 foot rope, it’s time to try moving around the yard and calling your dog from different locations. Move to your front yard to practice or to go a park. Practice a lot! If your dog doesn’t come even once, you’re not ready to move on to the next step. Now it’s time to take away the rope. You may want to start in a large fenced in or partially fenced in area. Practice a few times with the rope, just to warm your dog up. Then drop the rope. Let your dog wander away, then call them and give them lots of treats. After several sessions of just dropping the rope, you’re ready to take the rope away completely. Continue practicing as you have been. If your dog doesn’t come to you, don’t panic! Count to 5 in your head, then call them again. If the dog still doesn’t come, turn your back to the dog and move away. Never yell and do not chase the dog. Your dog will eventually come to you, and when they do, give them lots of treats and go back to practicing with the rope. If you’re patient and practice every day, your dog will have a GREAT recall. Remember, you will need to call your dog in many situations, not just outdoors. Make sure you practice inside, too. You won’t need the rope, but make sure you have lots of treats for fine dining. Every time you call your dog and they come to you, you’ll need to give them lots of treats. The treats you use as reinforcers must be more exciting to your dog than the things in the environment. This is very important because if your dog doesn’t think your treats are better than the great smells in the grass, they’re not going to come to you. Dog food is good. It’s what we use on a daily basis for treats. Dog treats are even better. Real, cooked meat is better still, and people food (like a hamburger or hotdog, bun and all) may be best of all. Use whatever your dog really likes, but don’t think that a carrot is as good as a warm, juicy steak. Also, variety is always good, and challenging environments need highly reinforcing rewards. If you don’t have any treats with you, a “Good dog!” and a nice pet might work once in a while, but don’t rely on it. You want build a good history with your dog so they associate the word “come” with something really great (like lots of tasty treats). A reliable recall is so important to my lifestyle, so I’ve built up a lot of experience training this behavior. I’m highly motivated to be consistent throughout the lives of my dogs. This is key to a great recall. 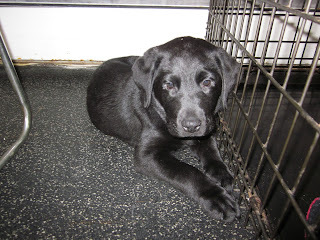 At one point, I had a young dog in my house, SSD Terra, and my grandchildren were here for a visit. They used my van, went to McDonalds, and returned. When I was cleaning out the van later that day, I found half a hamburger and realized that it would be a huge training reward. Terra was outside and totally focused on playtime with the children. I took the burger inside, then stepped outside to call her. She came reluctantly and then WOW!—she got a burger, bun and all, and she couldn’t believe her luck. Her recall was spectacular for months afterward. On a recent hike, my three dogs were off leash on a deserted trail. Along came a hiker with a dog on a leash. I called the dogs over, and they easily stayed while the dog passed by. They had done over 15 recalls with treats during the first 45 minutes of the hike, so when I called them because of the hiker and dog, they came just as they had practiced. The message here is to reinforce your dog every time. A reliable recall needs to be practiced forever. Sometimes you need to change the reinforcers throughout the dog’s life. When SSD Meade, one of our breeding dogs that I raised, turned two, he discovered girls and other delights, and his recalls were suffering. I changed his recall treats to freshly cooked chicken and sometimes steak that was slightly warmed. After several sessions, he improved, but I still throw in a great surprise every now and then. Sometimes on the trail, he is very rewarded with just a kibble or two and an “okay” to release him to go sniff and explore again. As his arousal level or energy level returns to normal, the “okay” release loses its power and I need to give him better treats. Reinforcers can be variable, depending on the dog’s mood. Take the time to be consistent. Start with great treats, and enjoy the progress you make. Since service dogs go almost everywhere with their partners, they need to learn how to relax and chill out for long periods. 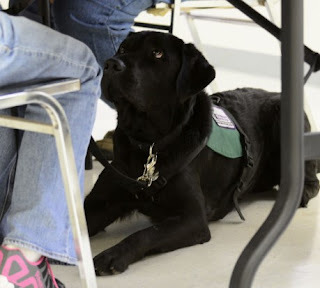 Service dogs may find themselves in a two-hour meeting at work, or at a relaxing dinner with friends at a restaurant. Regardless, they need to be able to lie down and chill out, even sleep. During Irwin’s last evaluation, he had trouble chilling out. There were so many good smells and interesting dogs around. 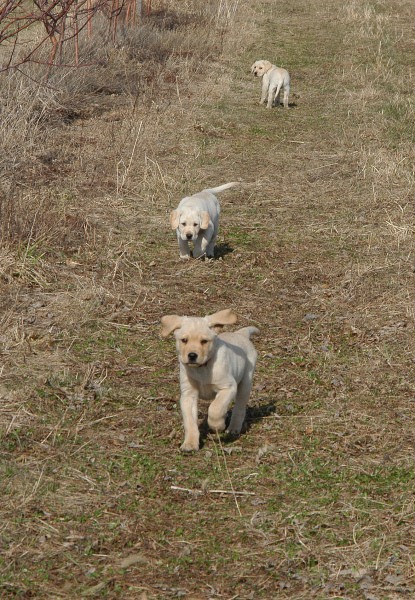 While he did well considering his age and where he was, his puppy raisers knew he could do better. They’ve been working on “chill time” at home, and he has been getting really good, even when other people are around. Donna and Jim invited Carol and Mark (SSD Outback’s puppy raisers) over for a Sunday afternoon of wine tasting and snacks. Since it was raining, Carol and Mark left Outback at home, letting him practice crate time. Irwin worked on chill time in the mudroom off the kitchen where the four adults were sitting. They spent several enjoyable hours at the table, and Irwin stayed in the mudroom, not crossing into the kitchen the entire time. At one point, Irwin gave Donna the “puppy please” stare, so she gave him permission to come. He trotted right over to her under the table. He was allowed to greet everyone, and he did very well. He wiggled in excitement but kept all four paws on the floor. Donna and Jim’s two grandsons stayed with them for a week. Sam, who’s eight, likes to be Irwin’s raiser when he visits, so they pretended to have summer camp like the SSD Summer Dog Camp. They even made tie-dyed shirts! Sam cleans Irwin’s ears, brushes his teeth, and combs his fur. Jack, who’s five, does the same thing with Hunter, their Jack Russell. They play the “Dress ‘Em Up” relay, where they dressed Irwin in t-shirts, socks, and more. In the morning, the boys play reveille on a Civil War trumpet. Irwin stays right next to them as they take turns waking everyone up. One morning, the boys were still sleeping when Donna and Jim gave Irwin permission to go into their room. Irwin laid down on the floor next to Sam until he woke up. The boys also take over feeding both dogs. (Sometimes it takes a while for Hunter to sit for his food, and poor Irwin has to keep waiting, drooling until he hears the “okay” to eat.) Irwin continued to practice chill time while the boys played at the table or in the family room. When they’re outside eating, they put Irwin under the table, and they ask him for a down-stay when they’re playing in the sand box. The boys love to watch him swim and Irwin LOVES the extra belly rubs they give him. They all went to the South Mountain Fair, which was perfect timing since Irwin’s puppy class homework for next semester is to visit a fair. They visited all of the animal barns. Donna and Irwin went through the animal barns rather quickly in order to keep his attention. Irwin did well, but Donna could tell by his body language that he was a little excited, and she wanted to make sure he had a successful visit. The animals, especially the sheep, knew that he was there. All the sheep were bleating. Overall, it was an excellent week! Guest post by Mary Alice Wagner, partnered with SSD TJ. Originally posted in our newsletter, Open Doors. SSD TJ came into my life a few years after two miraculous cancer surgeries and being homebound for three years. 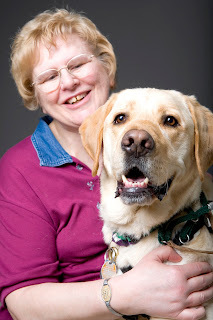 Hershey Medical Center had recommended that I get an assistance dog for help with balance. Our journey together has not only been about physical balance but also emotional stability. I remember vividly my first steps outside to bring in the mail with TJ. When we got back into the house, I put my arms around him and cried with joy. The sense of independence was so overwhelming. TJ and I began going to physical therapy via the minibus. We also took a bus trip to Philadelphia to visit a museum. TJ could not fit underneath the seat, so he sat on the floor next to me. That was only the beginning of our road trips. Besides campgrounds and amusement parks, we took a road trip to the Smoky Mountains and recently visited family in South Carolina and Georgia. We are inseparable. TJ is known and welcomed everywhere we go—schools, shopping, family events, doctors’ offices (where he is usually greeted before I am), church (he sleeps a lot there and sometimes snores—usually during the sermon). The list goes on and on. He keeps me emotionally balanced during the roller coaster of life. I’ve had many physical setbacks resulting in numerous doctor visits, hospital stays, emergency surgeries, ambulance rides, and rehab. All my doctors tell me they can’t believe the change TJ has made in my life. Along with my faith, TJ helps keep me grounded. TJ was by my side as I endured the physical deterioration and passing of both my parents. During the two years in the VA Hospice unit, my dad and other patients looked forward to TJ’s visits. It was amazing to see the happiness TJ brought just by being there for a little while. One evening, a woman asked for TJ to visit her husband before we went to see my dad. She said her husband had been waiting all day to see TJ. Shortly after TJ’s visit, her husband passed away. My parents adored TJ—he was their therapy dog, too. As they reached their final days, TJ would go and lay his head on the bed or put his paw into their hands, and then lay dog quietly next to the bed. People at the nursing home commented to me about his somber demeanor at the time. After the visits, he would cuddle up with me as I had a good cry at home. I’ve recently learned that I need more surgery. I know that with the grace of God and TJ by my side, I will make it through. One of my favorite memories is when I was shopping at Giant. I dropped TJ’s leash as I looked at an item. Suddenly, I heard a man say, “Do you see that? If that were my dog, he’d be over cleaning out the meat counter by now.” I looked down to see TJ calmly sitting there, holding his leash in his mouth. Last Saturday, we went to the Renaissance Faire, and TJ had a great time. We attended the jousting match in the evening, and TJ slept through the whole thing, including all the noise and simulated explosions. I guess all the walking during the day had tired him out. TJ is a Godsend. He does what he was trained to do, but has also alerted to oncoming seizures and diabetic issues that needed immediate attention. I am so grateful to SSD for training and pairing me with this absolutely awesome dog. TJ, and all of you, have made a huge difference in my life. For Puppy Raiser Carrie Stoner, "Shedding a few tears is worth it!" I started volunteering years ago because I wanted to take SSD Laurel home occasionally. Then SSD Bebe needed a sitter, and that was it. I got sucked in. After helping to interview many potential puppy raisers and not being able to explain the puppy raising experience to them, I decided to take the plunge and raise one. Just one. Shortly after making the decision, a little black bundle of fur named SSD Buster entered my life. I took Buster home and introduced him to my family of pets, and they looked at me as if I was crazy. However, it did not take long for that little bundle to become part of the family. After a couple of January nights of 3 a.m. potty breaks, I thought I was crazy. However, it did not take long for that little bundle to become part of the family. Buster has brought much joy (and amusement) to my life. I will never forget the day Buster and I met my sister for lunch. She looked at the dog and asked where Buster was. I looked at her oddly and said "This is Buster." "No, it's not. Buster is brown," she said. I laughed and said again, "This is Buster." It took much convincing before she finally believed that the dog was Buster, and he was indeed black. A "mother's" love is unconditional, but I realize that Buster is not perfect--he drools when it comes to food (what can he say, he loves to eat! ), he runs for cover when I start cooking (don't ask! ), and he insists on leaving his toys lying around. Despite his few flaws, he has the most amazing qualities that make me so proud. It warms my heart when people say nice things about him--and he is the most wonderful treat taker! Buster has been placed in the York County Probation Department as the country's first facility dog to work specifically with the Veterans Treatment Court. While I'm going to miss Buster very much, I could not have asked for a better placement for my little dude. Buster will touch numerous people's lives with unconditional love the same way he touched mine every day. 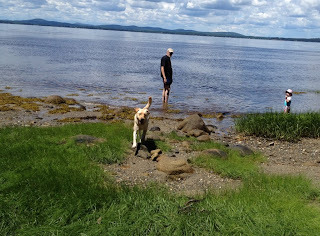 On a regular basis, someone says they don't know how I can do it--raise a dog only to give it up. Fortunately, Buster will not be totally out of my life, but after witnessing first-hand how one dog can so dramatically change a person's life, shedding a few tears (or in my case, many tears) is worth it. Remember earlier when I said "just one?" Well, that's like eating just one potato chip. I couldn't help myself. I get so much satisfaction knowing that a little work and patience on my part will be life-changing to someone else. And I have made many wonderful friends along the way. So, another journey begins with SSD Vicki. And, oh yeah, she is brown. Want to raise a puppy for SSD? Apply online!